The new 1607SS, on display at Pack Expo, is the first, continuous motion, side-seal wrapper in the Texwrap “Spartan” series of wrappers. Customers looking for an affordable, center-line, side-seal wrapper will want to learn more about the 1607SS, which is rated at up to 60 packages per minute. Affordability comes from the fact that, while the 1607 has the basic features most customers want, it was designed around a much simpler platform, offering full functionality but a limited number of options and range of customization. This small footprint unit is a fit for customers such as contract packagers needing a stand-alone system or very simple line integration. This machine features 100 feet per minute conveyor speed and the Texwrap exclusive Motion Trim™ technology, making it a fast and flexible wrapper. 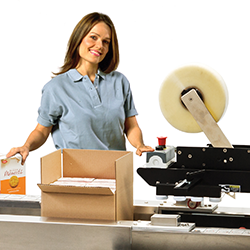 For the first time at Pack Expo, Tekkra is showcasing its continuous motion bundler. The 5100 Series bundler offers the option for single lane bundling or dual lane for higher speeds and the versatility to easily and quickly change bundle patterns. Customers can expect the 5100 series to reach speeds of up to 100 bundles per minute on this all servo bundler. User-friendly attributes include: no change parts and digital readouts and scales for fast, effective, and simple changeovers. Standard features include: servo flight bar, servo seal frame, and servo lane divider. The new Texwrap 2410 is an intermittent motion, side seal machine designed to run large products at moderate speed – up to 40 packages a minute. This new machine, an update of the popular 2602, has the capacity to produce shrink wrap packaging 24" wide and 10" tall and is versatile enough to accommodate a variety of product sizes and configurations. The 2410 uses the company’s exclusive Versa Seal side seal technology to ensure consistent, high quality seals across a wide range of film types. Flexibility and ease-of-use are hallmarks of this machine with standard auto spacing control, horizontal and vertical photo eyes, as well as the ability to precisely vary the conveyor speeds to relax the film between products. 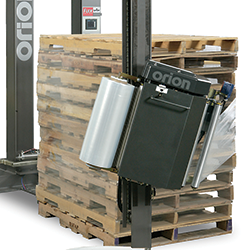 The 2410 can accommodate randomly fed or choke-spaced product and accurately separates them for reliable, consistent packages using the absolute minimum amount of film. Other shrink systems on display include the Texwrap 914 box-motion vertical top-trim-sealer for shrinking wrapping packages directly off a filler. 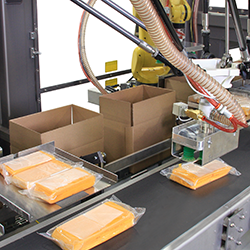 The 914 reduces product handling, lowers cost, and increases efficiency by eliminating the need to send packages to co-packers for repacking. The Texwrap 2215 is a full featured entry level L-sealer, one of the most popular standard machines the company manufactures. Be sure to stop by the ProMach Shrink Systems Group Booth # S-3748 to see these machines and learn more about the new group’s ability to be a single source supplier of reliable, high speed, small footprint, and easy-to-use shrink wrapping and bundling solutions. 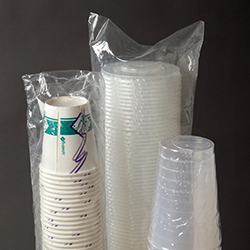 Visit Texwrap and Tekkra on the web for the extensive range of solutions.